A powerful ancient god-like alien race called The Builders began a trail of destruction across worlds they do not believe deserves existence. When they were razing Earth-13761, Captain Universe was present there and witnessed them extinct that world as they decides to destroy Earth next because they found it imperfect of the creation. On Earth, Captain America and Hawkeye were on a sting operation to bust some Skrulls with Hyperion and Thor, while Abigail Brand guides them. On Titan space station, Captain Universe was found in a semi-conscious state and his memories reveal the news of the arrival of The Builders on Earth. The Avengers embarks on an interstellar journey to halt The Builders in space and with many other allies from across the universe, they have formed the Galactic Council to oppose them. They have joined forces with The Thunderbolts, Hulk, Mighty Avengers, Nova, Guardians of the Galaxy and Star Brand as Earth remains without its defense. Corvus Glaive of the Black Order AKA Cull Obsidian sends a genetically engineered being called Outrider to Earth to look for secrets. The creature secretly raided Avengers Tower and Jean Grey School but when it tried to gain information from Black Bolt at Attilan, the former gravely injured it. Nevertheless, the Outrider returned with the information that its master was seeking. Knowing the information he wanted, The Mad Titan; Thanos decides to send his followers, The Black Order to invade Earth to pursue his own purpose. 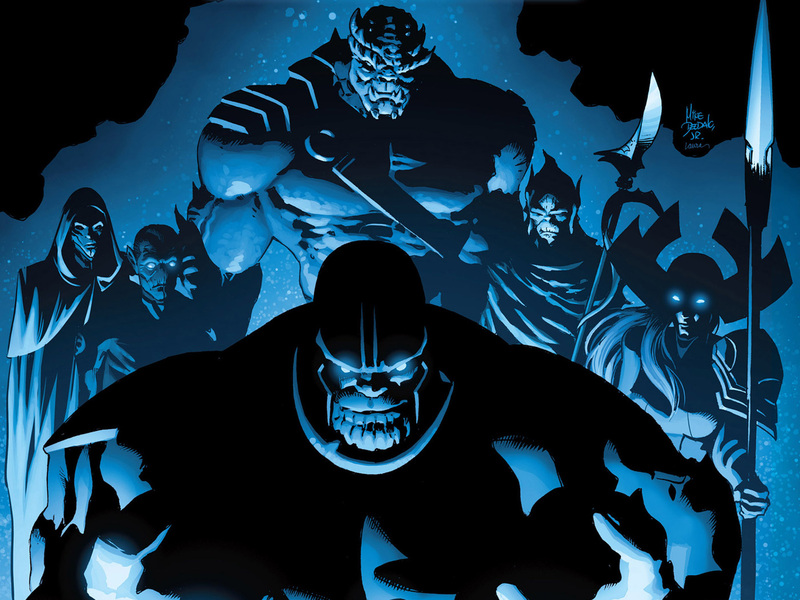 Black Order faced Earth's secret superhero team called The Illuminati in search for the Infinity Gems and Ebony Maw easily outmatched Earth's sorcerer supreme Doctor Strange. Then Corvus Glaive faced the X-Men on Jean Grey School but the gems are yet not found in their possession. King Black Panther in Wakanda and Namor in the ruins of Atlantis try to defend their territory from Thanos’s lieutenants Black Dwarf and Proxima Midnight. On behalf of Thanos, Corvus Glaive of the Black Order visits king Black Bolt in New Attilan to demand a tribute from The Inhumans to his master, which is the heads of the Inhuman young-lings from the ages of sixteen and twenty-two or being annihilated along with the Earth’s entire population for disobedience. 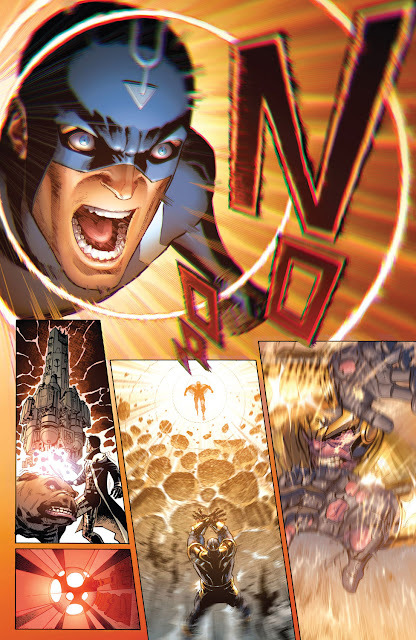 Black Bolt discovers the true intention of Thanos who is not really after the powerful Infinity Gems this time. He is here to look for his Inhuman-descendant son and kill him, whose location is still unknown to him and anyone else among the heroes. 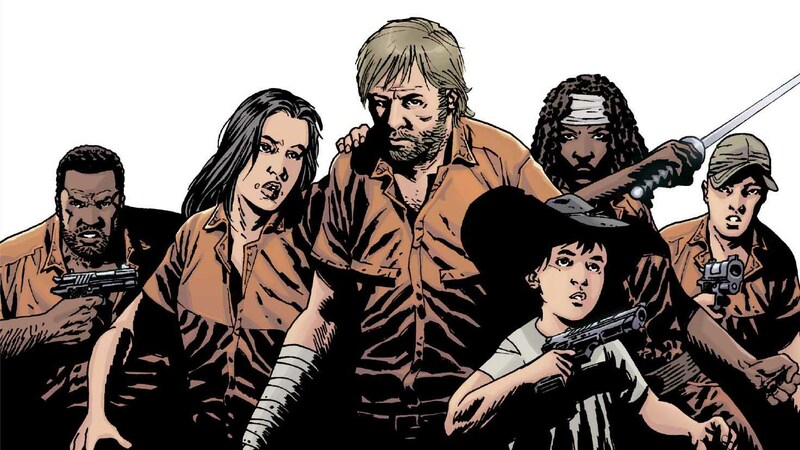 For more information on Infinity comic event, you can check out these links below. 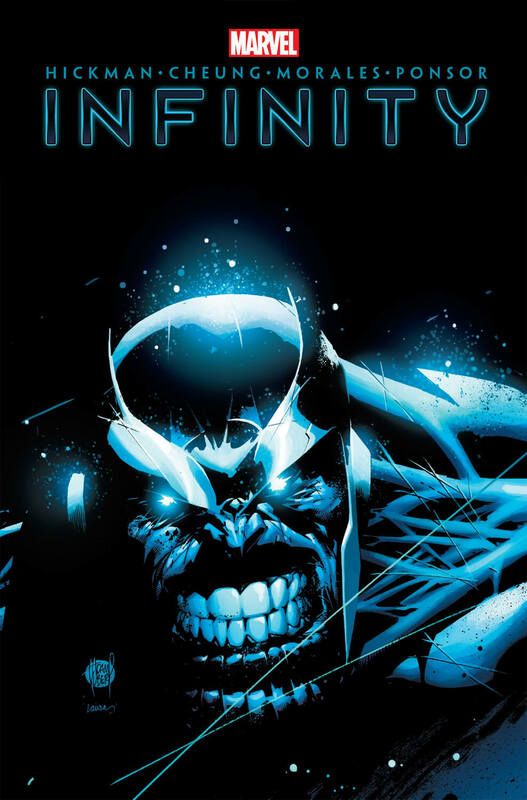 Here is your links to buy "Infinity" from Marvel Comics in issues on Amazon. Here is your links for the "Infinity" from Marvel Comics on Amazon. 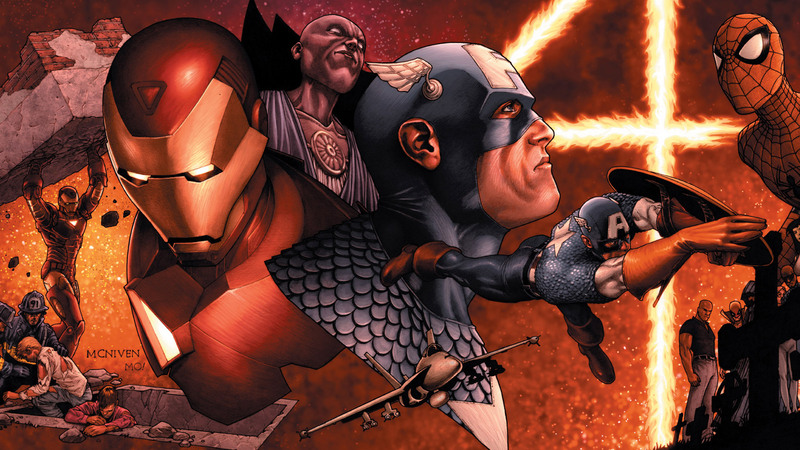 With the artists team of Jim Cheung (Avengers – The Children's Crusade, Avengers & X-Men – Axis), Jerome Opeña and Dustin Weaver, Marvel Comics have had comic-book writer Jonathan Hickman (Secret Wars, Time Runs Out) concoct the 2013 major crossover comic event “Infinity”. Issues from many other monthly ongoing series like Avengers Assemble, Captain Marvel, Fearless Defenders, Guardians of the Galaxy, Mighty Avengers, Nova, Secret Avengers, Superior Spider-Man Team-Up and Thunderbolts also served as the tie-in issues of this cosmic Marvel adventure. Rumor has it that even though the 2018's Marvel Cinematic Universe live-action release of Avengers: Infinity War takes the legendary "Infinity Gauntlet" arc as their primary plotline, 2013's "Infinity" crossover event will also shape the film's plot to a modern setting. Elements from the crossover such as introducing the Black Order as lackeys of Thanos in the film to do his bidding is possibly one of such. Instead of Black Order, his lackeys are referred as Children of Thanos in the film and Black Dwarf among them is named Cull Obsidian, which is actually an alias for Black Order in the comics.